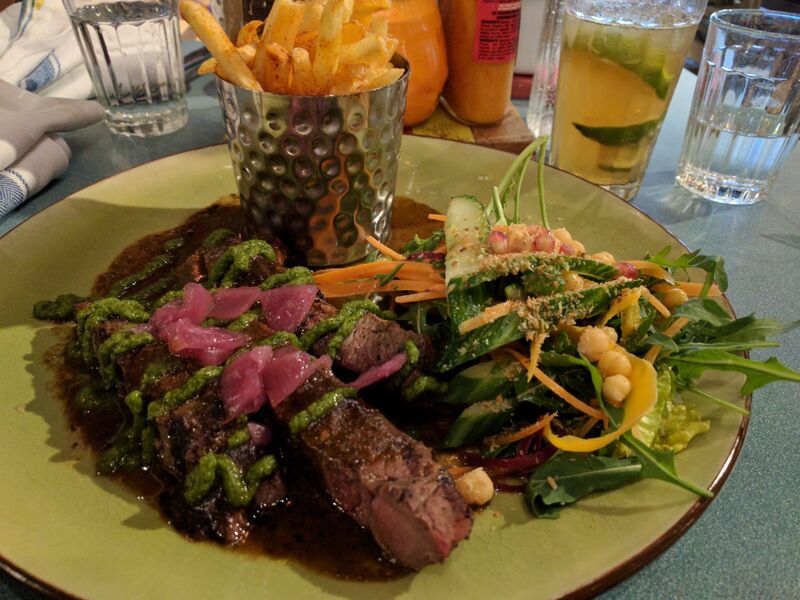 I was invited back to Turtle Bay, a Caribbean inspired restaurant in the city centre of Derby, earlier this year to try some more of their delicious food. 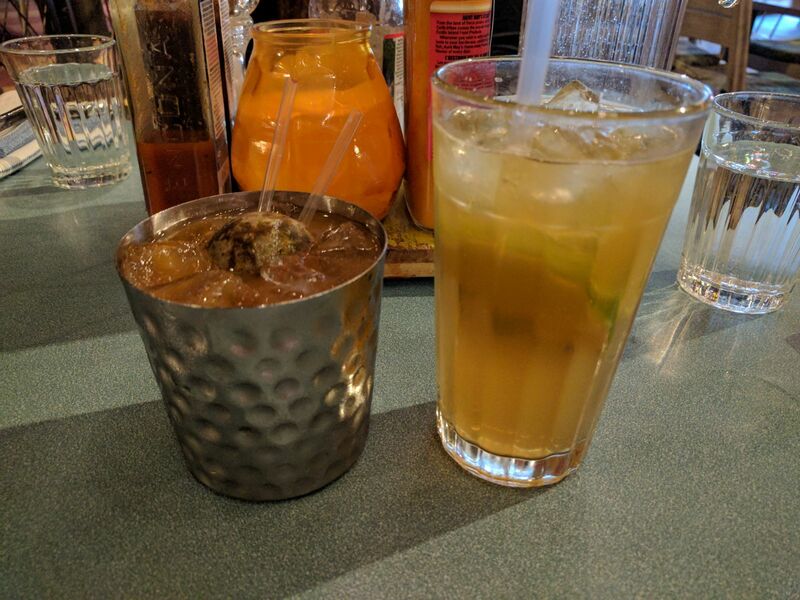 If you have read the previous Turtle Bay review then you would understand why we were quick to revisit this restaurant. The members of staff in the restaurant are incredible. This time around my guest and I had a waitress named Precious. She was professional, friendly and her personality was so bubbly and energetic it made you feel instantly comfortable. Now to talk about the food. The duck rolls were delicious. The duck was wrapped in a toasted flatbread and was served along with orange chutney. The chutney personally wasn’t to my taste but the toasted duck rolls tasted perfect without it anyway. My guest ordered garlic and chilli pit prawns. 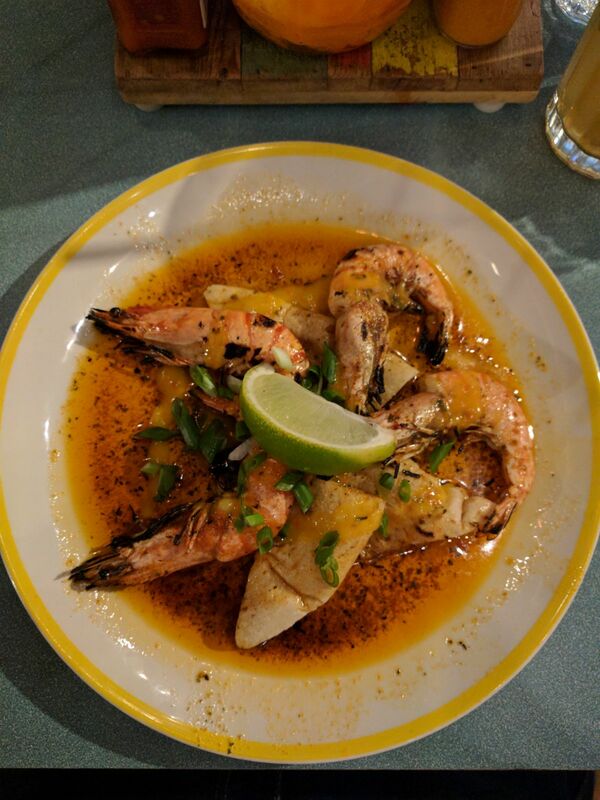 These prawns still came in their shell and were covered in a tasty herb and chilli butter. They were served alongside a nice, soft roti which paired really nicely with the prawns. The fact that the prawns still came in their shell, gave a real authentic feel to the dining experience. For my main, I ordered a Trinidad chicken and coconut curry. This curry is not particularly spicy so it’s perfect for people who like it mild. It was creamy and full of flavour. Not only did it come with rice like you’d expect, but it also came with flat bread too so you could choose which you’d prefer to eat. You also got a perfect portion size. My guest ordered a Jerk Sirloin Steak. This consisted of a big piece of steak cooked to your preference and came with fries, salad and fresh chutney. It was cooked to perfection. For dessert, I ordered a passion pie. This tasted fresh and was full of flavour. 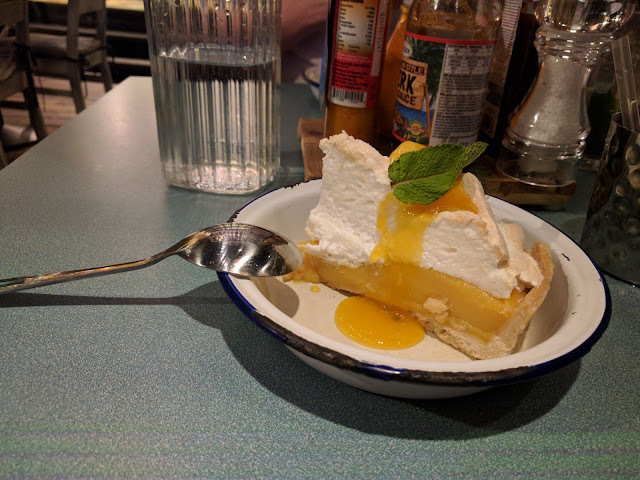 It was very like a key lime pie but instead of lime it was passion fruit curd and had a nice generous portion of meringue on top. My guest ordered a Caymans upside down rum cake and let’s just say you could taste the rum. I would massively recommend this cake if you are a rum fan. This came served with a nice creamy scoop of vanilla ice cream. All the cocktails were delicious and are worth the price. Each one tasted different and would be perfect in different scenarios, for example, the Koko Colada was very creamy and heavy feeling so this drink would be perfect if you were just visiting for cocktails or would be nice to drink after your food has settled. However, the passion rum punch was very light and refreshing tasting and is perfect to drink whilst eating your meals.